The perfect storage system for bars, pipes, tubes, lumber, etc. 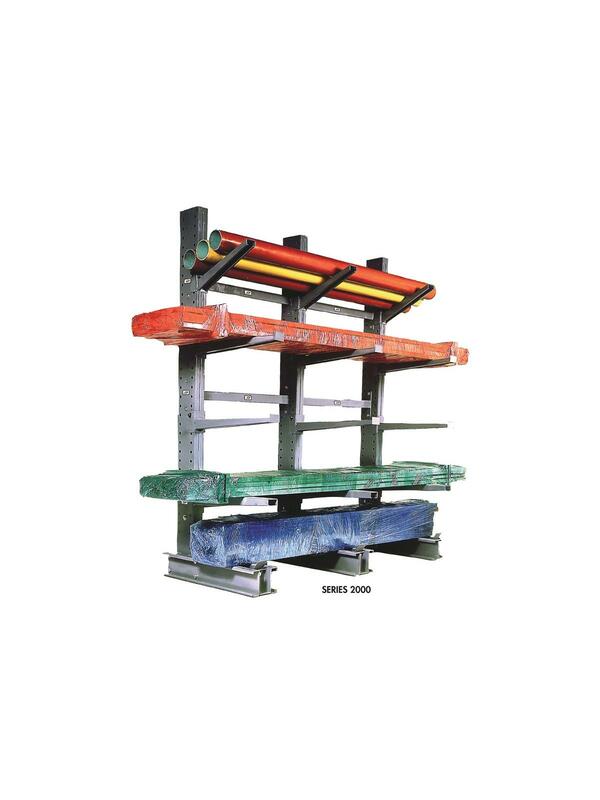 Sturdy and stable, these heavy-duty racks are built for years of rough use. Installation is quick and easy. 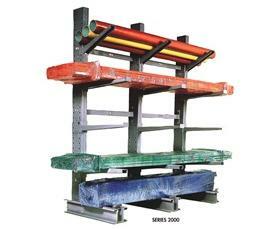 Convenient uprights facilitate manual loading and unloading and open base design affords easy forklift accessibility. Arms are adjustable on 3" centers up or down the full length of uprights. FOB Shipping Point. Please specify arm length when ordering - sold separately. See Related Items tab for Arms for Series 2000 Medium-Heavy Duty Cantilever Racks and Braces for Series 2000 Medium-Heavy Duty Cantilever Racks.